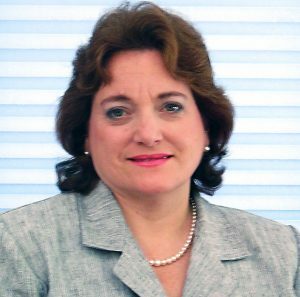 As both the former director of innovation processes at DuPont and the former CEO of the Product Development Management Association (PDMA), Robin Karol-Eng’s extensive industry expertise makes her a helpful resource for students in her current role as an adjunct faculty member at the Lerner College. Karol-Eng teaches in the entrepreneurship program. She created these two courses, which she teaches: Application Development of New Technology (how to take a new technology and make it something commercial) and Leading a Corporate Innovation Process (how to manage a creative/innovative organization). Of her time at DuPont, Karol-Eng said she oversaw a team and worked with them to implement innovation processes with partner businesses. For the PDMA — a professional organization for people who work in the fields of innovation and product development — Karol-Eng was its first-ever CEO. PDMA is a society that enables people to stay current on their profession by offering certifications, training programs, journals, books and online training. PDMA can also help professionals network, which was increased when Karol-Eng grew the organization’s membership by about 50 percent. Karol-Eng attributes some of her value as a student resource to having contacts in the field from her time with DuPont and PDMA. She said she has connected people to other experts in innovation to show them different ways of gathering information, different ways of generating ideas and different perspectives on their fields. Karol-Eng is also able to help students by drawing on her own professional experiences at DuPont and PDMA.